The Building, Relating, Assessing, and Validating Outcomes (BRAVO) diabetes model is a person-level discrete-time microsimulation model, predicting the progression of diabetes on the basis of individuals’ dynamic characteristics and treatment regimen over a lifetime. The model provides predictions on the risk of macrovascular events (i.e., Myocardial infarction, congestive heart failure, stroke, angina, revascularization), microvascular events (i.e., chronic kidney disease, end-stage renal disease, retinopathy, blindness, neuropathy, amputation), and adverse events (e.g., hypoglycemia, diabetic ketoacidosis) over a user-specified time horizon. It was internally validated across different age/race/complication subgroups and externally validated against 18 large diabetes clinical trials conducted after 2000. We’ve further developed our signature “Globalization Module” to calibrate the BRAVO model’s target population from the U.S to a global scale, based on cohorts data including more than 100,000 individuals internationally. The model is currently being calibrated based on data from the U.S. national survey to enhance its capacity to assist national policy evaluation. 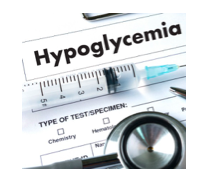 It can be used to conduct risk stratification among diabetes patients within a healthcare system/ insurance network. A risk indicator ranged from 1~10, can be assigned to each patient according to their predicted short-term/long-term cardiovascular risks. 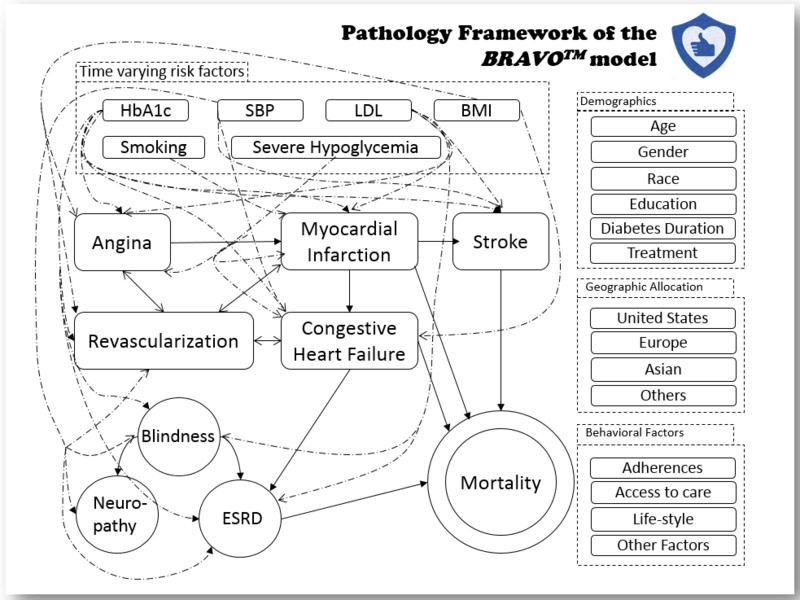 Thus, the BRAVO model could help the healthcare system/ insurance network to maximize its disease management program’s effectiveness by accurately targeting the high-risk population. It can be used to estimate long-term benefit of achieving treatment goals (education at clinical settings). It can be applied to conduct classic pharmacoeconomics evaluation, comparing the cost-effectiveness between alternative drugs/treatments. 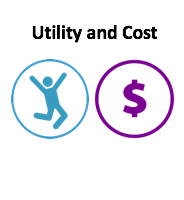 It can be applied to conduct Policy/program evaluation, assessing the cost-effectiveness of diabetes-related policy/programs. 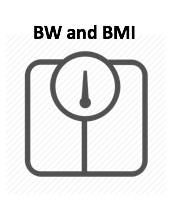 Better capturing impact of body weight on cardiovascular risks, cost and QALY. 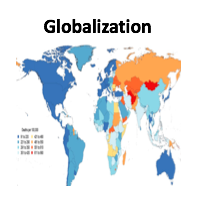 Has a globalization module to calibrate regional variation of cardiovascular risks. Has both QALY equation and COST equation already developed and installed. Shao, H., Fonseca, V., Stoecker, C., Liu, S., & Shi, L. (2018). Novel Risk Engine for Diabetes Progression and Mortality in USA: Building, Relating, Assessing, and Validating Outcomes (BRAVO). PharmacoEconomics, 36(9), 1125-1134. Shao, H., Yang, S., Fonseca, V., & Shi, L. (2018). Globalization Module for A Diabetes Progression Prediction Model: The Building, Relating, Acting, and Validating Outcomes (Bravo) Model. Value in Health, 21, S5. Shao, H., Yang, S., Fonseca, V., Ji, X., & Shi, L. (2018). Projecting Long-Term Diabetes Complications through a BRAVO-Based Mock Simulation for Promoting Diabetes Prevention Program (DPP). Diabetes. 67. 701-P. 10.2337/db18-701-P.